With kids of multiple ages, a range from one to eleven, it gets harder and harder to find activities that we can all do together. That’s why I’m happy to share this edible finger paint learning activity that was so much fun for our whole family… and easy to set up, and clean up too! I am always looking for ways to encourage creativity and expression. 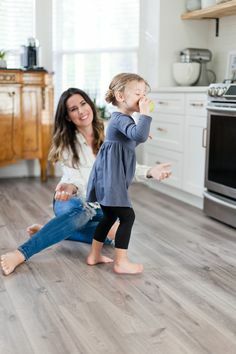 While my littles are big fans of play-dough, building blocks, side walk chalk – the list goes on – I enjoy finding new and fun ways for them to play, create, and learn, especially all together. If you’ve got little ones in your life, I’m sure you are aware of their insatiable hunger for entertainment and well… food. My kids are perfect examples of the love for both so I thought it would be fun to combine their love of all things food and their love of play with a fun DIY. It won’t take long to see another reason why edible finger paint sounded like a good idea to me, it meant I didn’t have to hover and watch over my littlest, because it was totally fine if she put the “paint” in her mouth… of course, once she knew that, it was so much fun watching her that I couldn’t stop anyway. We try and merge life’s high moments with learning experiences… as we bake, my little girl measures and counts off the cups of flour and teaspoons of cinnamon. As we write our grocery lists, I dictate the letters and my son spells out B-R-E-A-D. Our iPad and phones are loaded up with preschool apps and I’ve got an overflowing bin of rainbow colored numbers and letters. And then when we try out something new, together, I relish the opportunity. Not sure what’s making me feel all-the-things and get nostalgic all of a sudden. Maybe it’s looking through the photos again? I DO know this, seeing them happy makes my heart sing. More than anything though, I truly enjoyed how just a simple activity of edible finger paint, made with REALLY simple ingredients – only two to be exact – brought all of us together. It allowed the time for the older two to be a little more expressive, finding ways to create something with all of the different colors, and of course, time for the little ones to dig in with their exploration, and tasting, as well. Speaking of simple, it’s a word I like to hear, and use! An activity that can come together quickly and made with items I pretty much already have stocked in my kitchen is a win for me, but add in the fact that ALL of my kids enjoyed it and the time we spent together – that’s the real win. On top of it, my oldest has a bit of sensitive skin, so utilizing simple ingredients for an activity that we can eat and ingest, means I don’t really have to worry about it touching her skin either. So, are you ready for this truly simple edible finger paint recipe? I mean, TWO ingredients come together for plenty of fun… and then it just turns into a snack as well. It’s so easy, my kids mixed it up! Yogurt (any kind that you and your family love to eat) + colored (flavored) gelatin come together to create this easy-to-make edible finger paint! 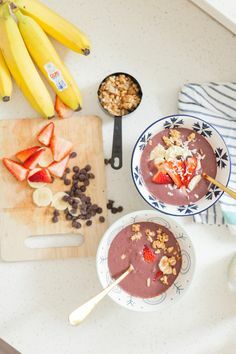 Gather a few bowls to mix up the different colors, paint brushes and spoons if you’d like and plates for your “canvas” so your family will be all ready! 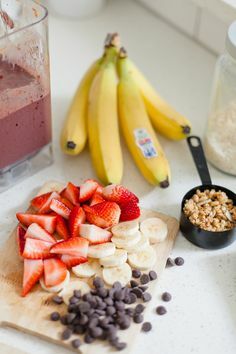 Start by adding a scoop or two of yogurt to the bowls and then add in a bit of the gelatin. I don’t really measure as I usually just mix until we achieve the color we want. The more flavored gelatin, the more intense the color of the edible finger paint will be. Then, just let the kids go wild with their edible finger paint. 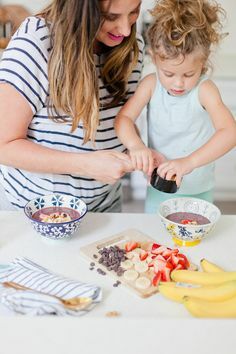 They can use brushes, utensils, fingers, and you can even find other items like sponges or really anything else to explore and have fun “painting” with edible finger paint. The best part? It won’t matter if they lick it… and well, it looks like mine did on purpose anyway! In a household of FOUR kids, we’ve always got messes to clean up after. Especially since we’re needing to clean up so much, I want to make sure we’re using products that won’t irritate our skin, but will instead allow us the freedom to be us… to play hard and not stress the mess! 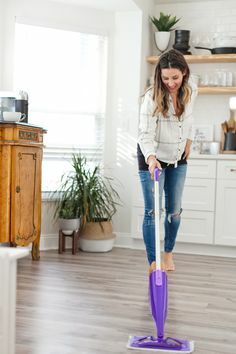 I like to keep all® free clear on hand because is perfect for families with allergies or sensitive skin since it’s 100% free of perfumes and dyes, and it’s hypoallergenic BUT it will still help me clean up those daily messes from all of my little mess-makers because while it’s gentle on clothes, it’s tough on stains. Seriously though, am I the only one with what seems to be mountains of laundry on the daily?! Usually I just toss a bottle of it (the #1 recommended detergent by dermatologists, allergists, and pediatricians for sensitive skin, by the way) in my cart when I’m out on a Target run and I know it will take care of us all, especially my oldest. I don’t have to worry about it irritating her skin, plus it actually helps to remove allergens, so I can spend more time getting messy and living life with my family, and make things like edible finger paint that will end up all over, rather than worrying about the harsh, irritating ingredients in the laundry detergent every time my kids get messy. This looks like so much fun!! I’ve done this with yogurt, but I used food coloring. I love the idea of gelatin! My three girls would love this! They love to paint. Looks really easy to make. Glad your kids had lots of fun! This is such a great family activity. I love using the mighty packs. 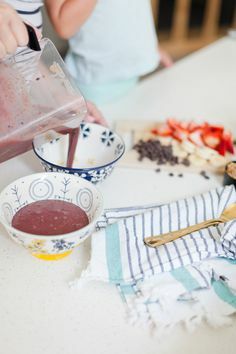 Edible finger paint is such an awesome idea especially when you have little ones who are very curious and tries to eat everything. My kids range from almost 9 to almost 1, so I will have to try this out. I think I will even wait until it’s warm enough and make them go on the back patio. I love your blog. It is such a good mix of beauty, realness and good content! This is so much fun! And the mess is the best part! This looks like so much fun!! And All free & clear is my FAVE!! What a great idea!! Between my sister and I we have 3 two year olds who make the hugest mess when we paint. One of my son’s shirts actually got ruined the last time. This is a great alternative! Love it. this looks easy enough for me to try! Great idea! Perfect for little ones to learn and create without worrying about them eating something they aren’t supposed to. Love the pictures – they all look like they were having a blast! What a fun idea! Definitely going to try this with my girls! Pinned for future use 🙂 Thank you!! Awesome idea, it’s toxic-free and super kid friendly. Oh my gosh, Tabitha, this is such a fun idea! I pinned so we can do this for homeschool.